Last Wednesday, after much scheduling-tag, I was able to drive a couple hours to track down Hannah Coker, the dynamic energy behind Hannah Everly Designs, and interview her in-studio. I pull into the rocky, uphill driveway and follow its arc into a lot carved from the middle of the pine-woods. Just as I turn off the car, my phone lights up with a text from Hannah, telling me not to mind the German Shepherd; to come straight to the door. I grab the sloshy, melted frappe with her name on it and the Grinch-spirited dollop of whipped cream which, at this stage in my journey, looks half-hearted at best. The nearest Starbucks is a solid twenty minutes from her rural home and the ginger-haired barista made it soupy to begin with. I laugh and introduce myself likewise because, though we've connected online, we haven't met in person till this minute. Formalities over, you'd think we were old friends meeting again for the first time in a year or two. Handing off the melted frappe, I am invited into her quiet, spacious home decorated for Christmas. A plate of chocolate chip cookies, just out of the oven, waits on the counter. Another round is still on the tray. “I've been trying to perfect my chocolate chip cookie recipe,” Hannah informs me, swinging a spatula like Rapunzel swings her frying pan. Hannah wears a red crepe skirt (“Not my design,” she says with a wry face) and slim gold belt, a black top, red lipstick and bare feet. In a few moments, Hannah has led me into her studio just off the kitchen. 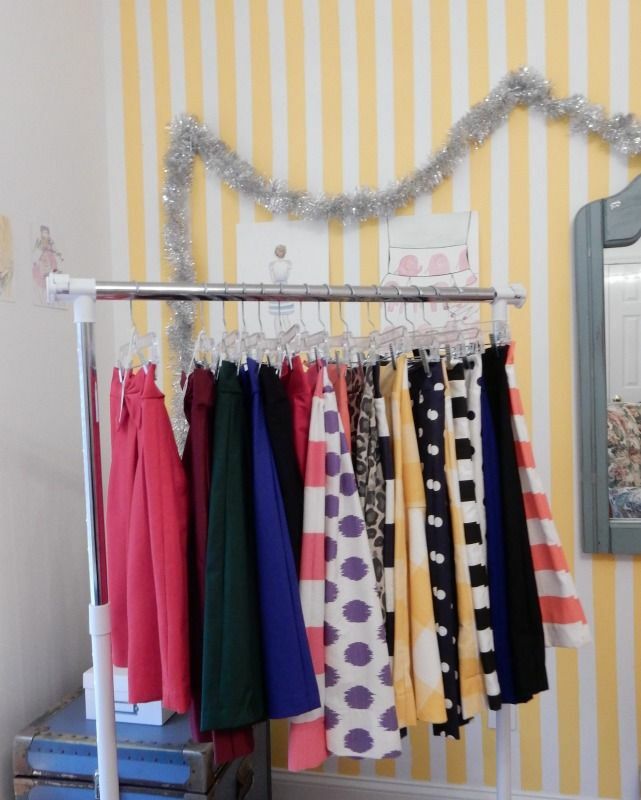 She sets the cookies on a fold-up table scattered with scissors, measuring tapes, and other accouterments of her trade and gives me a tour of the studio: the rack loaded with finished skirts, the shelves holding paper, ribbons, and boxes for shipping. 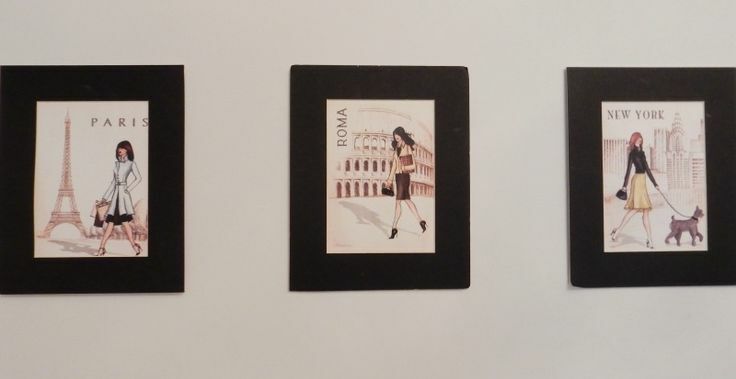 The watercolors of her designs sketched by a friend; the Paris, New York, Rome prints representing three places dear to her heart. 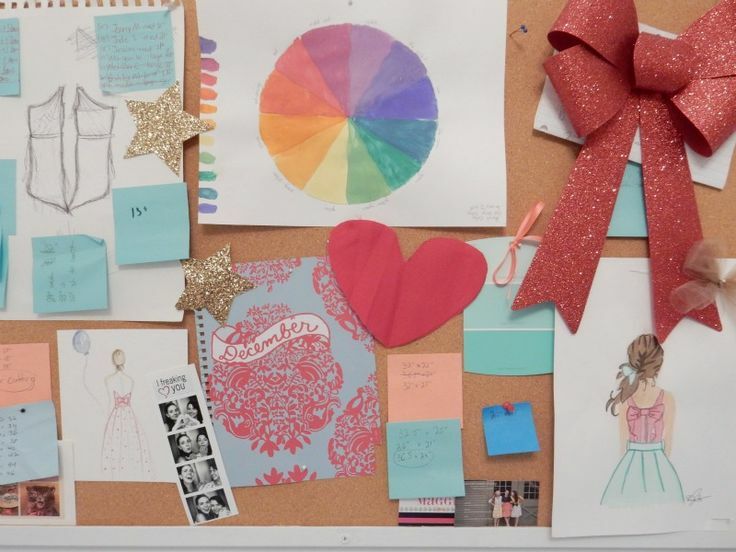 The yellow-striped accent wall, the gold foil stars and her pleasantly-cluttered inspiration board. Last up is Imogen, her faithful mannequin and studio companion. 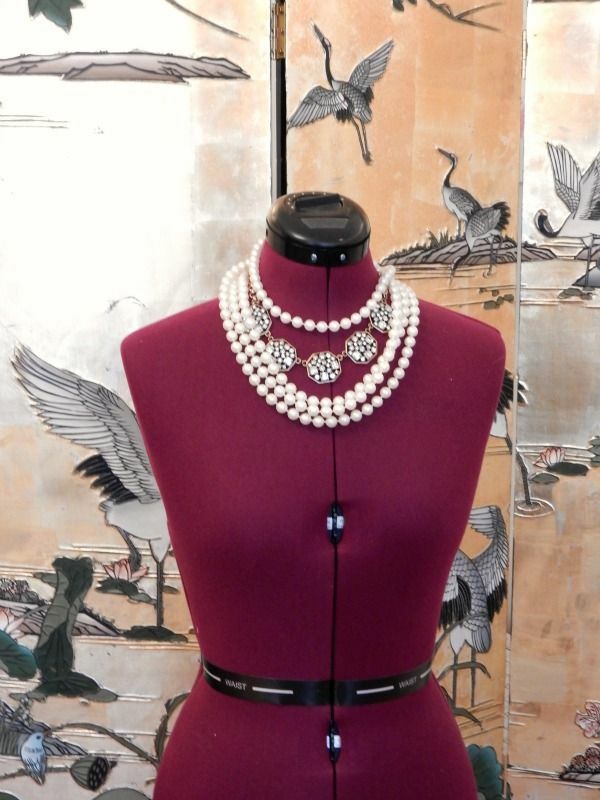 “If you're going to take pictures of Imogen, I need to dress her up.” Hannah vanishes, leaving me in the bright studio, and returns a moment later with several necklaces which she fastens around the bust's neck. We pull Imogen in front of the heavy Asian dressing-screen which Hannah, with youthful glee, tells me almost killed her when it fell onto the ironing table a few nights prior. “There,” she says, and pats Imogen on her cloth shoulder. It's this mix of capability and girlishness that characterizes Hannah and her designs. Classic, playful, practical, and streamlined, skirts from Hannah Everly seem to capture the heart of their designer. 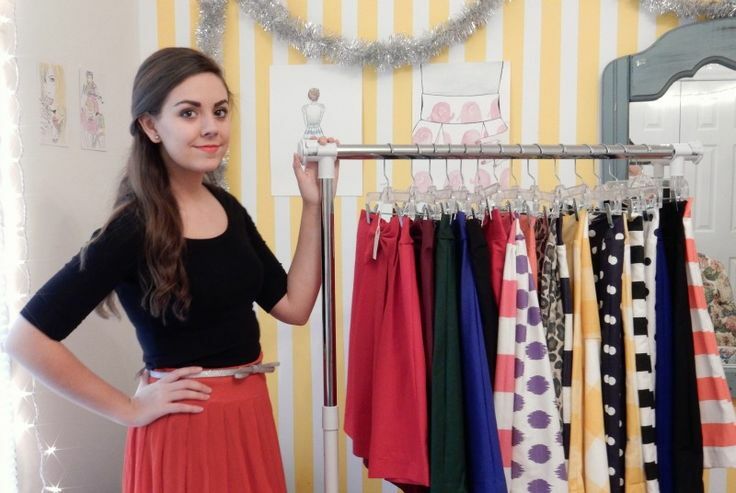 At eighteen, Hannah is already a seasoned business owner of four years. After a few months of sewing lessons and bothering around with a couple of other business ideas, Hannah began to sew skirts for herself. When friends saw her designs, they asked her to make a copy for them. When their friends began to ask where they got their skirts, Hannah knew she had a market. She launched Hannah Everly Designs in 2012 and since then, has watched her business grow from sewing for friends of friends to gathering a knot of fans which include a star of The Bachelorette and well-known style-bloggers as well as some small shops and boutiques which want to sell her skirts in-store. “I've been asked to do wedding gowns before,” she says, a mischievous gleam in her brown eyes, “but I'd totally ruin it. I'm too terrified.” I press her to give me a dream design project. She tosses her long brown hair, laughing. “I'd like to make something for Taylor Swift...if we're talking ultimate goals here.” If she went into gowns, Hannah also mentions, she'd love to dress someone for a red carpet awards ceremony. And with discussions open with Nickelodeon and Disney show-costumers, that bucket-list item might not be out of reach. Further goals from the girl who isn't afraid to dream include plans to hire a few employees this year, open a store-front in Richmond in her early twenties and even, if business is steady, in Washington D.C. By her late twenties, Hannah hopes to open a store-front in New York City, where her factory will also be located. As I talk with Hannah – her enthusiasm and love for her work almost palpable – I understand the key to her success: this young designer is not afraid to take risks to stay aligned with her vision. A point clearly made earlier this year when Hannah chose to deactivate one of her best-selling designs because it no longer represented her style and the direction toward which her shop has headed. When I ask how Hannah drafts her patterns, she laughs again. “I don't even use one anymore for the double-pleated bow skirt. I've made almost a thousand. I know what I have to do.” She explains methods used for her other designs, including techniques learned while taking a course from a fashion school in Milan. Though Hannah's Etsy shop currently boasts only two designs, they are available in various colors and prints. Never fear: more ideas are in the works. Hannah's favorite idea is a peplum pencil skirt she made her for her personal collection which is currently undergoing strenuous testing for a fitting strategy that satisfies Hannah's desire to have each skirt fit its client to perfection. We both laugh. Fitting challenges are just a small obstacle to a girl with Hannah's determination. Who could refuse? I leave the studio – a surprising oasis of sartorial bliss in the middle of the Virginia pine-woods – and start my drive home. And as I pull back out of the driveway to the soundtrack of her German Shepherd, I can't wait to order a skirt. Even if the holidays and those blasted cookies make it necessary to size-up and test her curve-tailoring prowess. I'm not worried. Hannah Everly Designs is up for the challenge. That was really inspiring to read. Wow, I love making things too . . . I hope to one day have a buisness of my own! Very inspiring! Thank you, Rachel - and Merry Christmas!